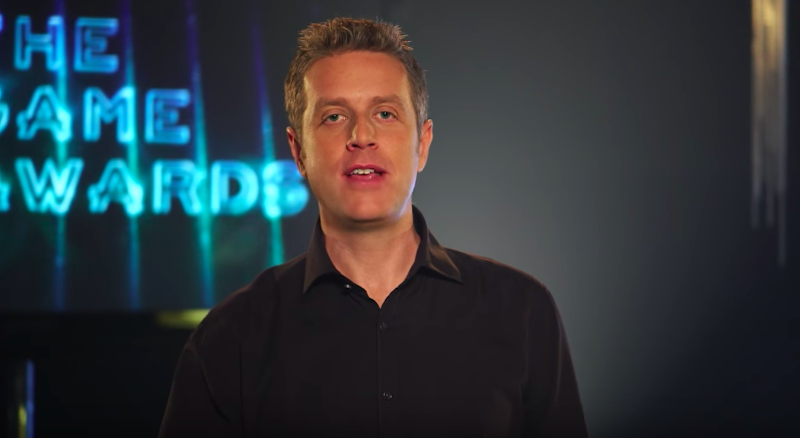 This morning, I woke up to a string of headlines declaring that journalist Geoff Keighley had teased a major announcement at this week’s Game Awards. OK, I thought, clicking one of the articles, only to find out that he had done it during an interview with... me. Wait, what? Maybe it started on Twitter, or Reddit, or on the front page of the aggregation website N4G, where a headline declared that Geoff Keighley had teased an announcement for the “sixth entry” in a “major franchise” at his annual awards show, which takes place on Thursday, December 7. All of these articles cited our very own Kotaku Splitscreen podcast, hosted by me and Kirk Hamilton, on which we welcomed Keighley last week to talk about what it’s like to put together The Game Awards—and what kind of offers he gets from Doritos. The only problem is this did not actually happen. Geoff: The new thing this year is also looking at some of the existing games that are service-based, that have meaningful updates. So it’s not announcing a new game, but like PUBG, we’re gonna reveal the new desert map for the first time, and gameplay on that, which is a massive update for a heavily played game. So it’s not announcing a new game, but it’s a first look at a game that’s had a big impact this year. Kirk: I definitely want to play insane franchise sequel number 6, that sounds like a great game. Jason: Oh I was thinking about Insane, the game that Guillermo del Toro was doing that was canceled. Geoff: So that’s a long-winded answer, but it’s different every year, we ask for a lot of stuff and we don’t get it all. In the future, we recommend that anyone thinking about writing an article like this first listen to Kotaku Splitscreen, which you can find on Apple Podcasts, Google Play, and any other podcast provider of your choice.